Our relationship with the ocean is undergoing a profound transformation. Whereas just three decades ago nearly everything we ate from the sea was wild, rampant overfishing combined with an unprecedented bio-tech revolution has brought us to a point where wild and farmed fish occupy equal parts of a complex and confusing marketplace. We stand at the edge of a cataclysm; there is a distinct possibility that our children's children will never eat a wild fish that has swum freely in the sea. In Four Fish, award-winning writer and lifelong fisherman Paul Greenberg takes us on a culinary journey, exploring the history of the fish that dominate our menus---salmon, sea bass, cod and tuna-and examining where each stands at this critical moment in time. He visits Norwegian mega farms that use genetic techniques once pioneered on sheep to grow millions of pounds of salmon a year. 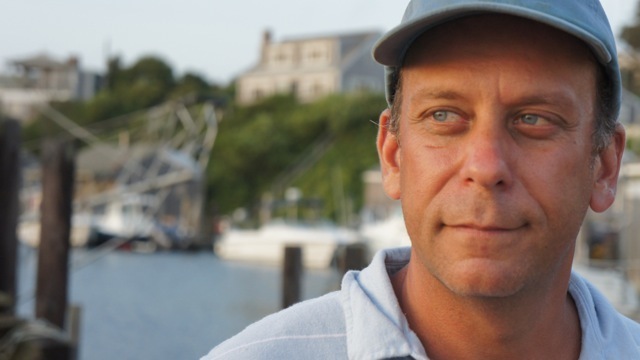 Paul Greenberg is the New York Times bestselling author of Four Fish and American Catch and lead correspondent of the Frontline PBS documentary The Fish On My Plate. A Pew Fellow in Marine Conservation and the Writer-in-Residence at the Safina Center, Greenberg lectures widely at institutions that have ranged from the US Supreme Court to Google to Yale University. He is the recipient of numerous awards including a James Beard for writing and literature. Paul Greenberg's TED talk "The Four Fish We're Eating and What to Eat Instead" has nearly 1.5 million views.